Though most of us think of the Palace Theatre as a venue offering up mostly family-friendly entertainment, there was a time when the management was willing to show something a little more daring. 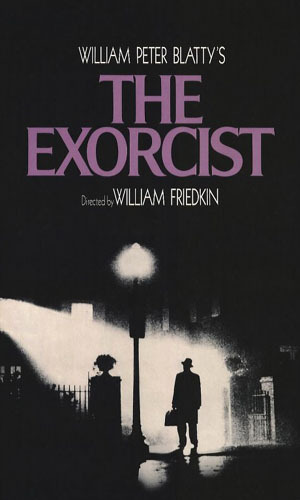 The Exorcist is now generally considered an American classic. In 2010 it was added to the National Film Registry of the Library of Congress for being “culturally, historically or aesthetically” significant. In the middle of the controversy was Mr. Hatch, and one can sympathize with the tough position he was in. The film was, after all, already a blockbuster, and he stood to make money by showing the film. (According to Todd Berliner’s 2010 book Hollywood Incoherent: Narration in Seventies Cinema, the film was the third highest grossing movie of the 1970s. Only Star Wars and Jaws earned more money.) Of course, Mr. Hatch also must have felt a great amount of pressure not to show the film: The petition presented to Marion City Council had an estimated 8,000 signatures. My great-grandma helped organize the petition to keep this movie from showing.